I am so excited to formally announce my blog's new look! The design that I launched the blog with was completely simple, newbie friendly & crafted using widgets I found around the Internet. Since blogging seems to be one of the few hobbies that I'm actually sticking with, I thought it was time for an upgrade! I came across Shabby Creations & could not have been more pleased with how flexible, quick & easy Michelle, the designer, was to work with! She made me feel informed & comfortable with my decisions during the entire process & was willing to make revises for me on anything that I felt unsure about! 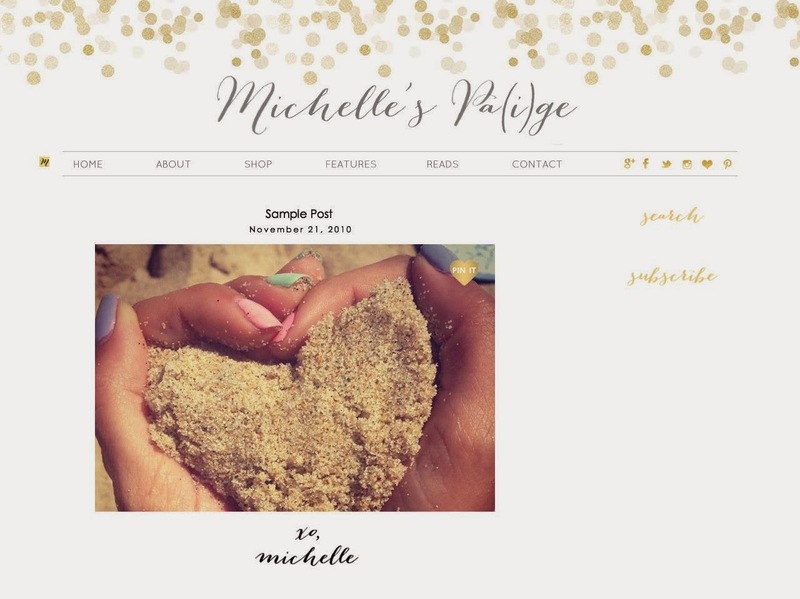 Welcome to the new, improved & much prettier Michelle's Pa(i)ge! This looks so amazing. Congrats on the fabulous relaunch! Your designer did such a great job! Thank you - she was amazing for sure! Very pretty! Clean and chic! Your new look is amazing!! I just redid mine too!